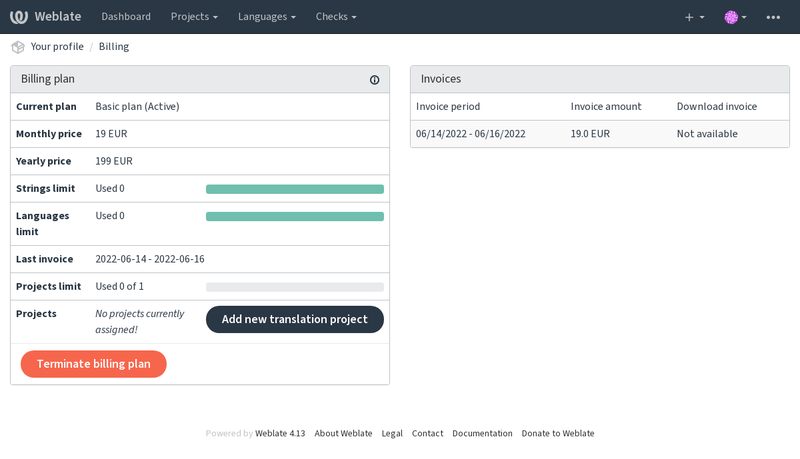 Weblate supports a wide range of translation formats (both bilingual and monolingual ones) supported by Translate Toolkit, see Supported file formats for more info. Whether Weblate should manage the Language-Team header (this is a GNU Gettext only feature right now). 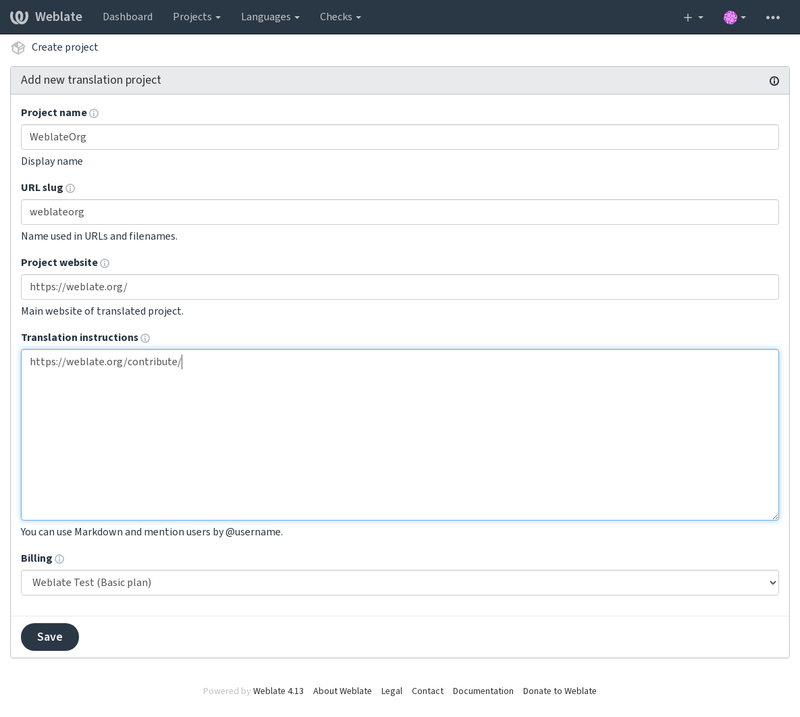 There are also additional features which you can control, like automatic pushing of changes (see also Pushing changes) or maintainership of the Language-Team header. You can find some examples of typical configurations in the Supported file formats. Translation file format, see also Supported file formats. How to handle requests for creation of new languages. See Adding new translations. 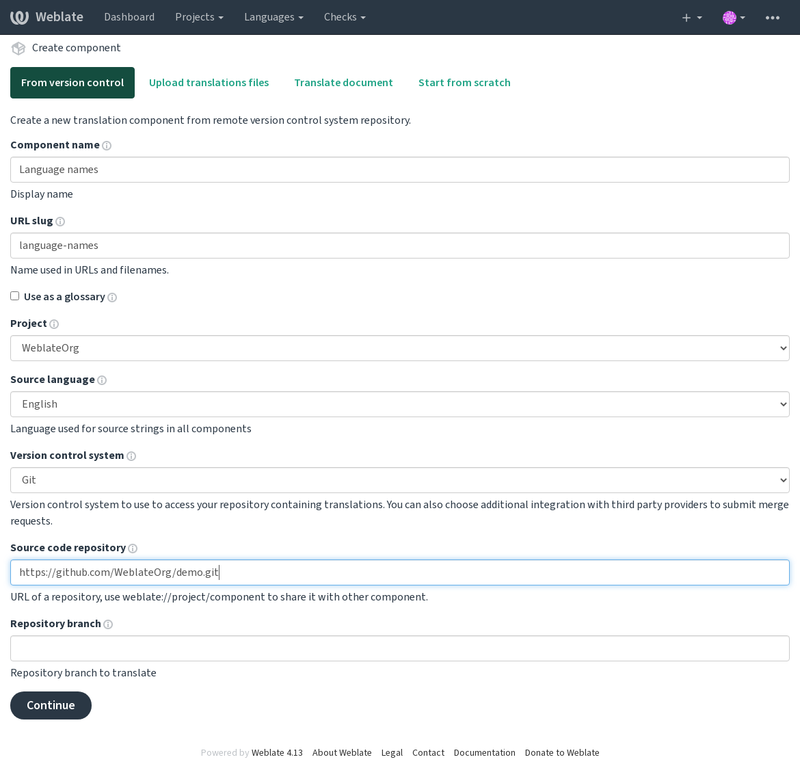 Customize language code used to generate the filename for translations created by Weblate, see Adding new translations for more details.